UrbanMeisters, we help you come out to the world! While we are green, we are LGBT positive community. But when we say come out, we mean the inner sustainable side of you. These days sustainability is all around us – not just as a trend but owing to increased awareness we are all becoming more conscious of our impact. While being sustainable means cutting down waste, consuming green, consuming less, there’s a creative side to sustainability too. 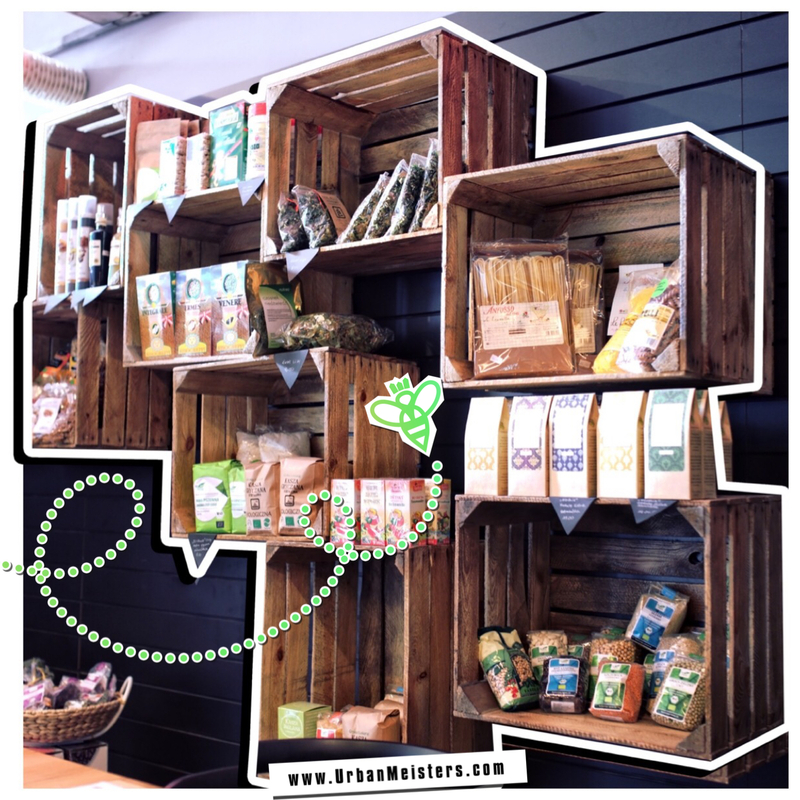 Recycling & upcycling – the two buzzwords of green living – can be great ways to get on a creative journey. Several Independent artists & designers are making exceptional art, products & brands using sustainable materials, methods and techniques that we have already featured. Mat Dusting’s company M-24 Bags makes bags by upcycling old lorry tarpaulins. The result? Uber-cool durable bags with pop design sensibilities. On the other hand, it’s not just brands converting materials into products. There’s sustainable art too. The sustainable art-gallery Offcyclers by Diego Morodo introduced us to many artists producing incredible work (even guitars from from recycled & upcycled materials). 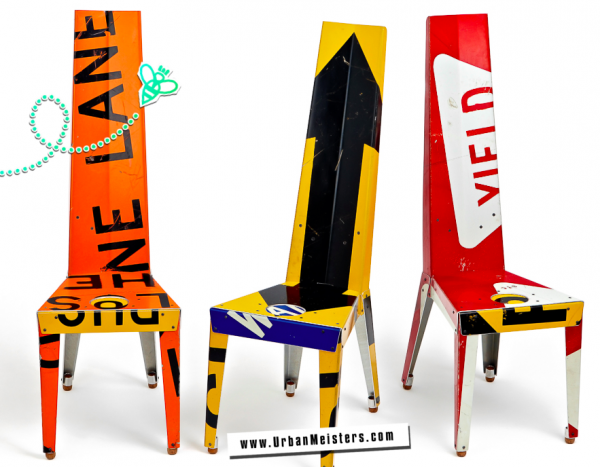 There’s Boris Bally making stunning furniture pieces from old traffic signs. 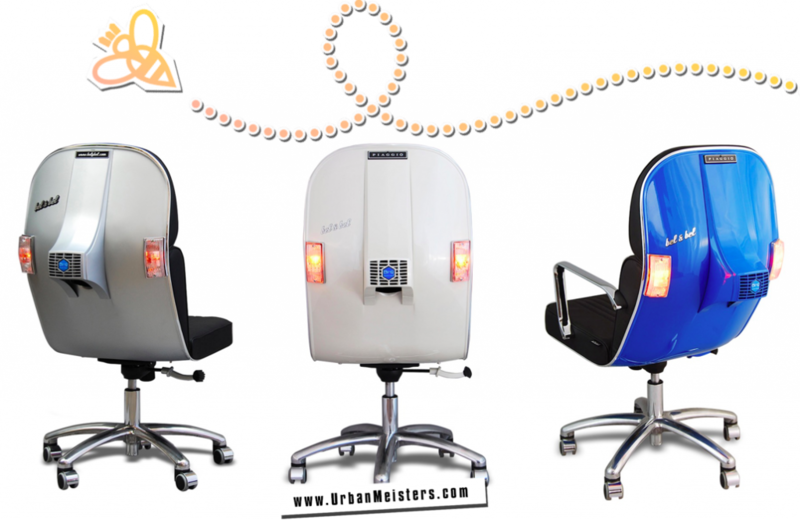 His Transit Traffic Sign Chair is featured by some of the most prominent design zines & blogs. Similarly artist duo Bel & Bel’s upcycled Vespa chair which has been incorporated by the Piaggio Museum in Rome. We also featured decor pieces by Times Top 100 listed green artist Rodney Allen Trice’s. Then there’s quirky robots made from upcycled industrial waste by Bruno Lefevre-Brauer. And that’s just to name a few! So get ready to bring out the creative bit in you while being sustainable by recycling & upcycling. Recycling & upcycling is a great way to cut down on consumption and a great way to go the zero-waste route as explained in our green living series. On top, it can help in cutting down indoor pollution especially in kids rooms like we explained in our 10-step green decor guide. And as the kids grow, you can keep updating the furniture pieces to suit their requirements. Plus what’s more, working on creating your own sustainable art is the best form of catching some “me time”. But if you are wondering where to begin and how to go about it, we bring you a small guide in collaboration with Akshay – an Interior Designer working with Lalco Interiors, who strives on creating and implementing unique home decor ideas for his clients. Sharing his knowledge and expertise on having the right approach to implementing upcycling concepts, here are Akshay’s points to consider. On your marks, get, set, go! There is a fine line that differentiates recycling from upcycling. Still, both are geared towards re-purposing an object instead of discarding it. However, a recycling or upcycling project entails commitment to finish what one has started. Otherwise, she or he might just end up with even more piles of trash in their garage. More than just decorating your home, you might find yourself helping save the environment from the garbage crisis engulfing it. No less than the World Bank estimates that 1.3 billion tons of waste is generated globally, with the United States, China, Brazil, Japan, and Germany topping the list of so-called trash generators. Unfortunately, the trend in the tons of waste generated is not going down anytime soon, with urban expansion growing at an unprecedented rate. Still, it is better to help end plague than contributing to its worsening condition, right? So how exactly do you begin to do this? Before embarking on recycling and upcycling, it is good to step back and imagine how you would want your project to look like in the end and if it will complement the other stuff in your home. This is an important consideration, especially if you have earlier recycling and upcycling projects already in place at home. The good thing about recycling and upcycling is that your vision need not have a polished interior design, just like what you see in glossy home and interior design magazines. As a newbie, your work might still be on the rough side, which will give your project the kind of rawness and uniqueness it aims to have. There is a need to seek balance in one’s vision of the object being repurposed. How much of it would still be recognizable? How much of it would have to bid farewell to its original form? Having that kind of foresight is guaranteed to save you time, energy, and resources. A project, of course, will not begin and end with a mere vision. Some people begin their project by paying a visit to a nearby flea market or a thrift store, where some “rare gems” may not be that rare. 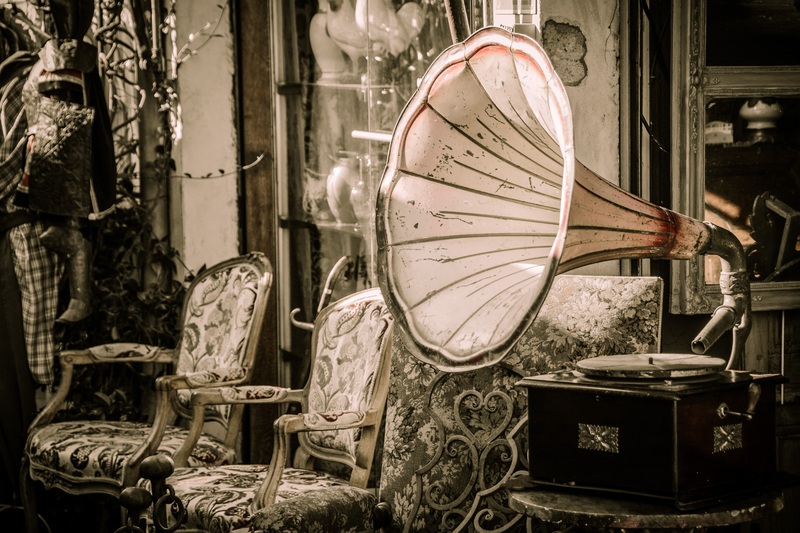 You maybe a flea market virgin or a pro at it, either way you will discover some vintage items that are a must-buy whether you choose to repurpose it or keep it as it is. These items could include those vintage canisters with intricately unique designs that are just waiting to be picked up, bought, and repurposed into a lamp, an office supplies holder, a kitchen storage, or just a simple piece of art by your side table. Still, there are people who begin their project right at their own home. Pay a visit to your garage and look around. Or better yet, survey among your belongings which of these you have been considering throwing away. Then, try to place them in a place you have never thought of positioning them – put your chipped teacup in your garden and you might find yourself a small flower pot. 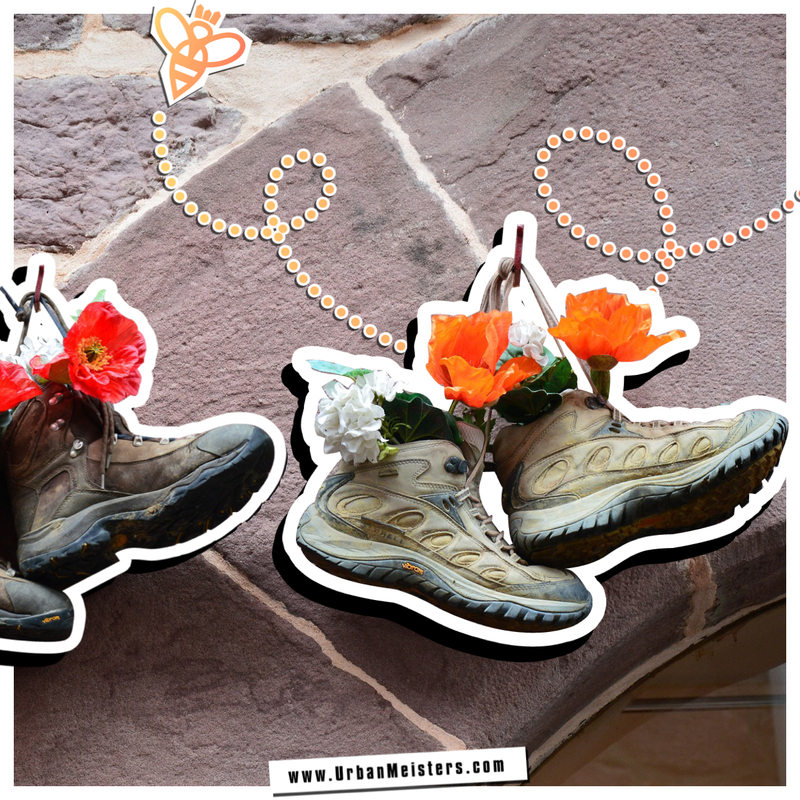 By the way, bags, shoes, and even dressers make good flower pots as well. Considering the effort, you have exerted for this project, it is rightly so that it must be placed as a focal point in your decoration, while at the same time not distracting the entire design. Many shy away from engaging in recycling and upcycling projects because of the effort it entails. But projects need not be difficult if you know what you want and what you need to do. With the World Wide Web at one’s fingertips, hundreds of articles and even video tutorials are available on the internet not just to provide one an idea on what to do but also how to do it. However, one might be surprised to find that pursuing projects may entail extreme measures – from using heavy equipment to as easy as simply pushing your old dresser to the bathroom and turn it into a vanity desk. Other easy recycling and upcycling projects include revamping of chairs, pails, glassware, among others with a mere can of spray paint. Besides, it is not just the product that one must consider but the entire process of repurposing an object as well. According to experts, the process of recycling and upcycling provides a relaxing experience because it taps one’s creativity and keeps the mind from being idle. So, never take it too hard if things are not going your way or if your project is not coming out as you have expected it to be. Enjoy the process and give yourself a break. Truth be told, recycling and upcycling your old stuff into something new is not completely free. Repurposing an object might require one to spend several bucks but clearly not as much as purchasing brand-new items from a nearby shop. For example, one might need to buy paint, wood stains, or other similar materials to repurpose a wooden armchair or table. Others who are not knowledgeable in using power tools might need to hire a carpenter to get things done. Once your imagination starts running, it is almost impossible to stop. Recycling and upcycling can be truly addictive – in all its stages from the planning, execution, and the assessment of how it went and could be improved. Make sure you know when to stop. And really mean it. In other words, fortunately or unfortunately, there is just no stopping. UrbanMeisters it all starts at home! Akshay’s informative and helpful tips definitely encouraged the artist in us. If it helped you too you can catch up with Akshay and his team and indulge in one of their beautiful home décor pieces for your home at Lalco Interior on facebook or their website. [ECO-PRENEUR GUIDE] Is Corporate Social Responsibility for start-ups?